Hi friends, this is my second recipe for international food challenge. 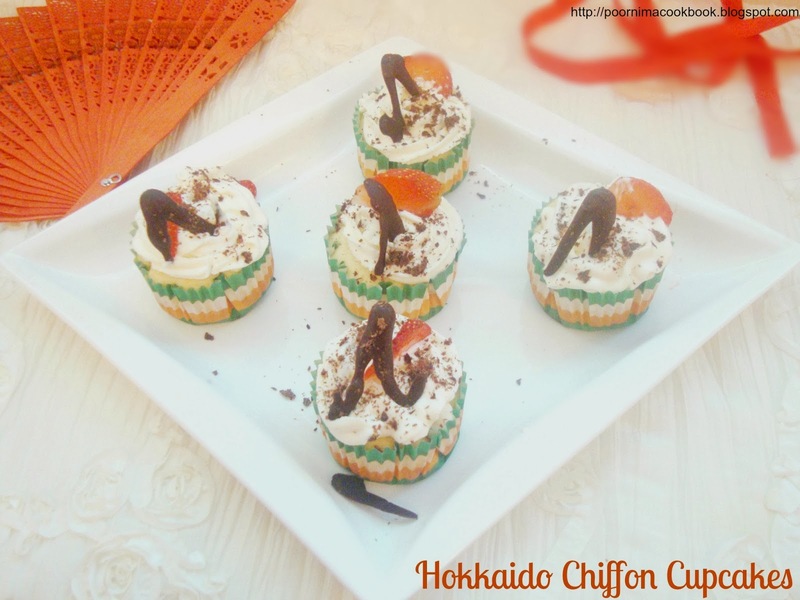 This month, Shahzia of "Cutchi Kitchen" gave us the challenge from "Hokkaido Cuisine", Japan. 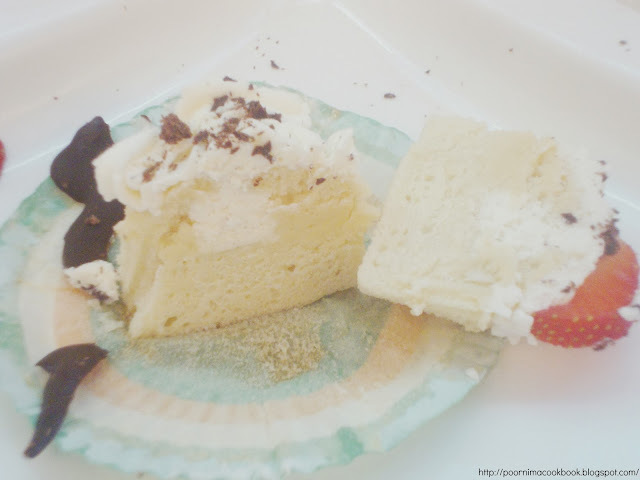 Preparing cake without baking powder is new to me but it came out very soft. Appreciated a lot by my family & friends who tasted this! (For beating egg whites you can substitute equal amount of lemon juice for cream of tartar or leave that and continue). 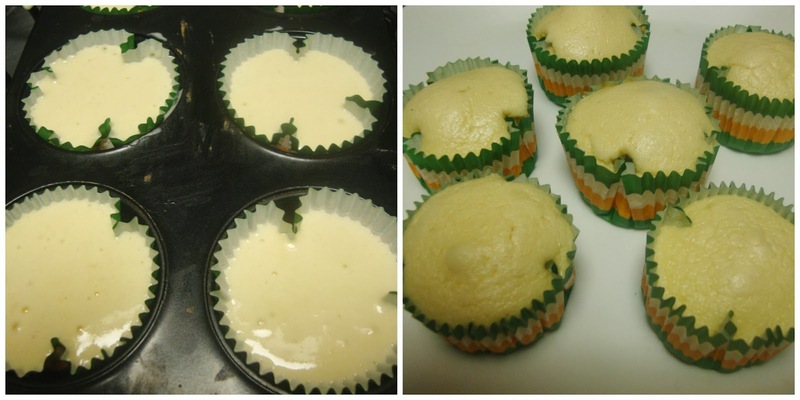 (Normally this cupcake is baked in a square mould; if you don't have that, go ahead with round ones). Take a wide bowl; sift flour and add 30 g of sugar. 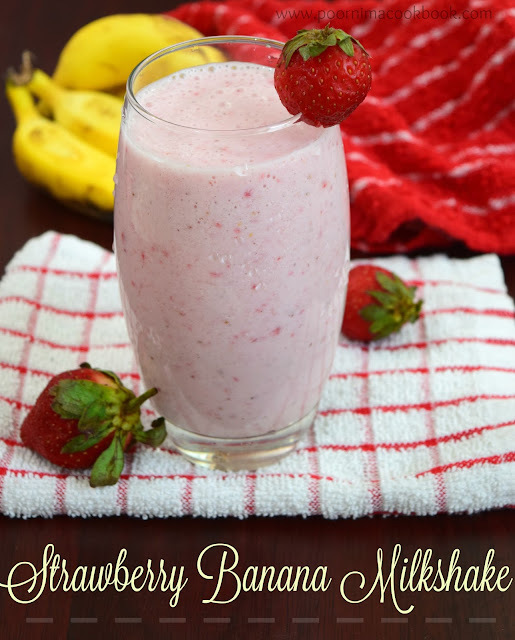 Add in yolks, milk, oil, vanilla essence and whisk until thoroughly blended. 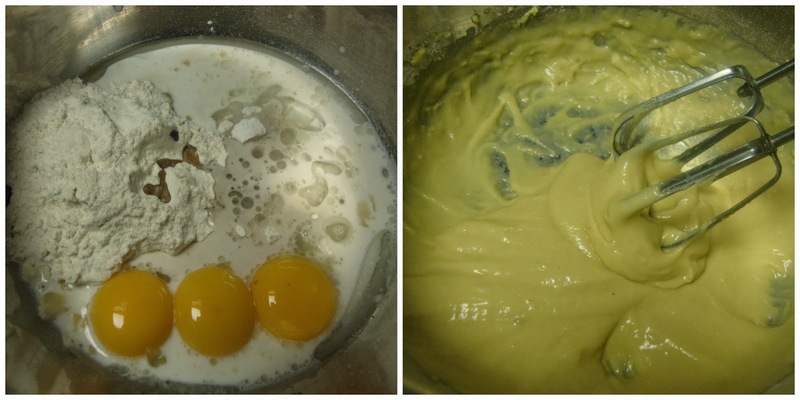 Take the separated egg whites in a clean bowl without any water. 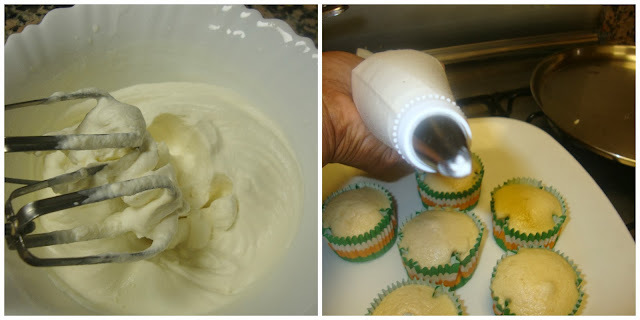 Using a electric beater, beat egg whites and cream of tartar (I used lemon juice) until foamy. 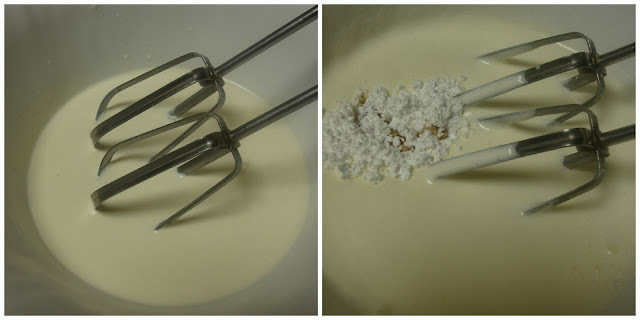 Gradually add in the remaining 45 g of sugar and whisk on high speed until stiff peak forms. With a spatula, gently fold the egg whites (in three additions) into the batter just until blended (being careful not to over beat the batter). Spoon the mixture into the muffin cups, filling each about ¾th of a cup. Tap the holder slightly to remove air pockets. 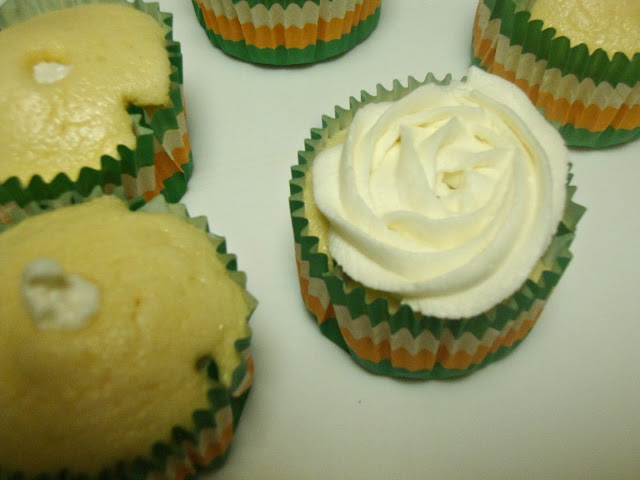 Cool cupcakes completely on wire rack before piping the cream into cupcakes. Remove pan from the oven and leave it for about 2 minutes; then transfer the muffins with their paper cups to a wire rack. Enjoy with your favorite filling. Place cream and sugar in a chilled bowl. 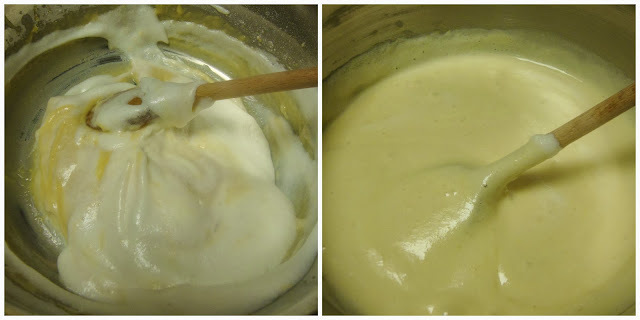 Whisk cream, sugar and vanilla essence on medium speed until stiff peaks form. 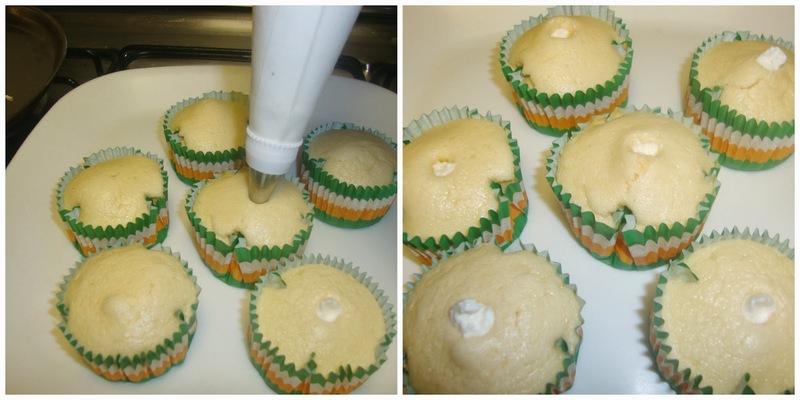 Fit the piping bag with a narrow tip, and fill it with whipped cream. Pipe the cream into center of the cupcakes after they are completely cooled. My kids love icing, so I did some piping on top and decorated with some chocolate curls (which I tried for the first time) and sliced strawberries to make it more attractive. 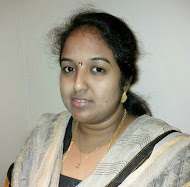 Linked this to "International Food Challenge, started by "Saraswathi Tharagaram" and "Shobana Sekar". G'day! 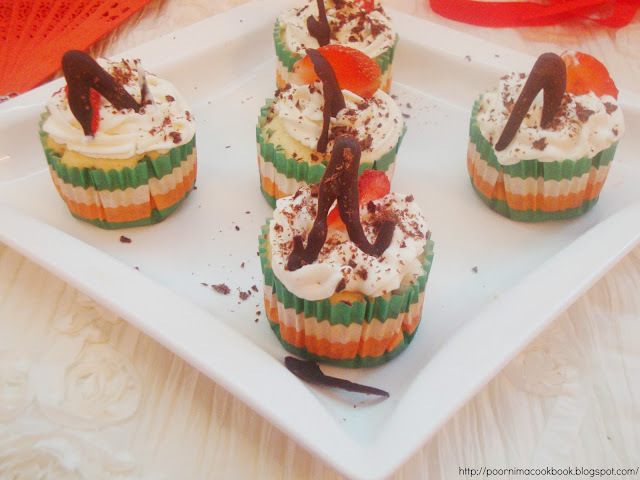 Wonderful cupcakes for an interesting challenge, true! I think the challenges each month are fun and feel free to follow my blog and posts too! Thank you! That is a wonderful cup cake. I love the cake and also the icing over the cake added more attraction. Love that cake very much..looks delicious. Woow, You presented the cake very well and absolutely stunning..Thanks for participating dear..